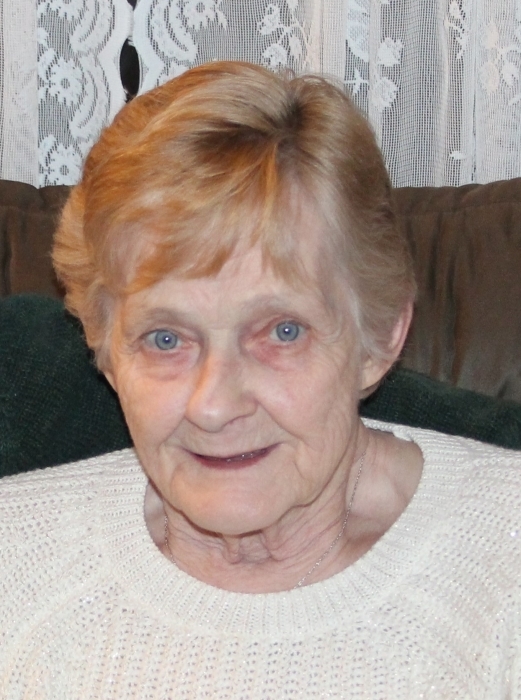 Edna Marie Radzwion, age 75 of North Branch passed away at home peacefully with family by her side. She was born in Caro, Michigan to Harold and Verna Pauline (Taylor) Campbell. Edna married Lawrence D. Radzwion October 17, 1969 in Lapeer, Michigan. She was a homemaker and loved spending time with her family and friends. Edna enjoyed sewing and crafts. Edna is survived by her husband Larry, children: Dwight (Laura) Rienstra of FL, Dwayne (Kathy) Rienstra of Marlette, Dawn (Steve) Freeland of North Branch, Denise (Joe) Wesolowski of TX, Dionne (Dale) Pincumbe of North Branch. Brothers: Kenneth (Late-Bobbi) Campbell of Caro, Leslie (Joanne) Campbell of Plymouth, Richard (Karen) Campbell of TN; Sisters: Delores (Paul) Collins of GA, Marilyn Miller of AZ. Grandchildren: Steven (Amanda) and Justin Freeland, Dwight, Dylan and Eddie Rienstra, Courtney (Zach) Thibodeau and Austin Pincumbe, Kayla and Kristen Rienstra, Joseph Wesolowski and 11 Great-Grandchildren. Many nieces, nephews, and cousins. She was preceded in death by her parents, Harold and Pauline and brother, Duane Campbell. A Memorial Service will be held at 11 am, Saturday, May 19, 2018 at Blackburn Chapel-Martin Funeral Home in North Branch. Deacon Joe Schierlinger will officiate. Burial will follow at Westlawn Cemetery.